son of Napoléon III and proclaimed Napoleon IV, Emperor of the French by the Bonapartist faction (1856-1879). 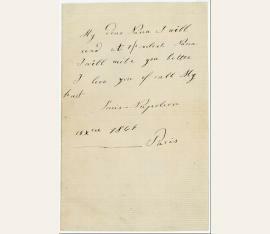 Autograph letter signed ("Louis-Napoleon"). Paris. 8vo. ¾ page on bifolium. A charming letter by the eight-year-old to his grandmother: "My dear Nana I will read at 1/2 oclock Nana I will write you better I love you of all My hart". son of Napoleon III and proclaimed Napoleon IV, Emperor of the French by the Bonapartist faction (1856-1879). 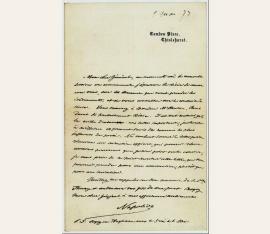 Autograph letter signed ("Napoléon"). Apparently Camden Place, Chislehurst, Kent. 8vo. 1 page on bifolium. In French, to "mon cher Général" whom he invites to England to speak with him about the turn that events will take. A meeting is about to be held in Camden where the general will meet among others Raoul Duval (French politician, 1807-1893). On the eve of this meeting Napoléon IV would like to take the advice of the most influential and powerful men. 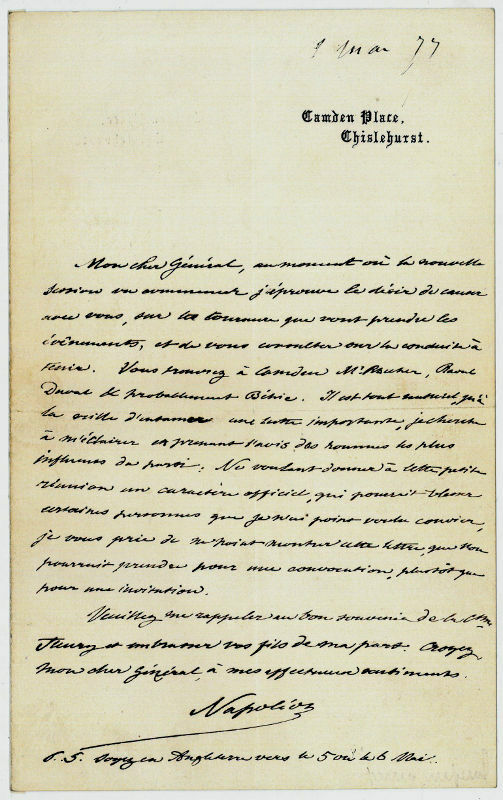 Napoléon IV does not want to give an official character to this little reunion in order not to harm certain people but still he asks the general to show this letter which could be taken for a convocation rather than an invitation. 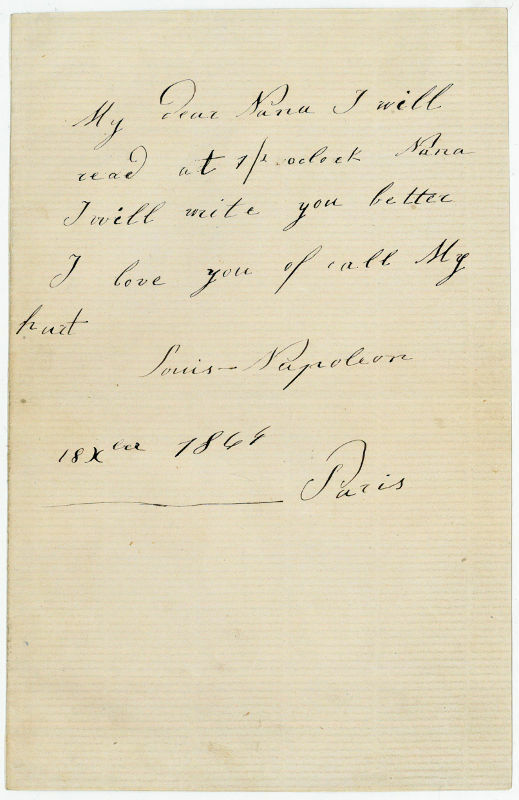 Napoléon IV ends his letter by sending his regards to the general's wife and sons as well as to the general himself, asking him to arrive in England on the 5th or 6th May. - On headed paper "Camden Place, Chislehurst"..